In many parts of the world, acupuncture is increasingly being applied in treatment of mental disorders. It is effective for addressing many psychologic and psychiatric disorders. Depression is a mental disorder characterised by sadness, low self-esteem, feelings of guilt, loss of interest and pleasure, tiredness, poor concentration, disturbed sleep, and poor appetite. There is a peak incidence between ages 30 and 40, and a smaller peak between 50 and 60. The risk of major depression is increased with strokes, Parkinson’s disease, and multiple sclerosis, and during the first year after childbirth. Major depression is also more common after cardiovascular illnesses, in the urban population, and in people with poor socioeconomic factors. In Traditional Chinese Medicine (TCM), all illnesses are caused by abnormalities in the flow of Qi. The Qi can be deficient or excessive; it can be stagnant, which means the flow is blocked, and this causes an excess behind the block and a deficiency distal to the block; or the flow can be in the opposite direction, which is known as rebellious Qi (eg: gastroesophagael reflux in which the stomach Qi rises in stead of descending). Depression is usually caused by stagnation, and as the stagnation continues, it can lead to deficiency. The diagnosis of Qi can happen in many forms:Stagnation of Qi—Pain and distension are the cardinal features; the location will depend on the organ involved. The patient’s tongue may be purplish and the pulse wiry. Deficiency of Qi—Fatigue, hyperactivity, hyperfunction of the organs, pale face, low voice, reluctance to speak, shortness of breath, mental depression, and reduced resistance to infection are the features. Tongue—pale. Pulse—weak and empty. Deficiency of Yang—This has all the features of Qi deficiency, plus cold symptoms, such as increased sensitivity to cold, cold extremities, and cold sweating. The patient’s tongue is moist, as there is insufficient heat, while the pulse is weak and slow. Deficiency of Yin—This has all the features of Qi deficiency, and because Yin cannot control the yang, there are Heat symptoms, such as warm palms and soles, restlessness, agitation, insomnia, dry mouth, dry eyes. Patient’s tongue is red with thin or no coat while the pulse is thin and rapid. Deficiency of Blood—This is characterised by pale face and lips, fatigue, dry skin, dizziness, hypertension, blurred vision, paraesthesia, tremor, and coldness of limbs. The patient’s tongue is pale and slightly dry, while the pulse is choppy or fine. 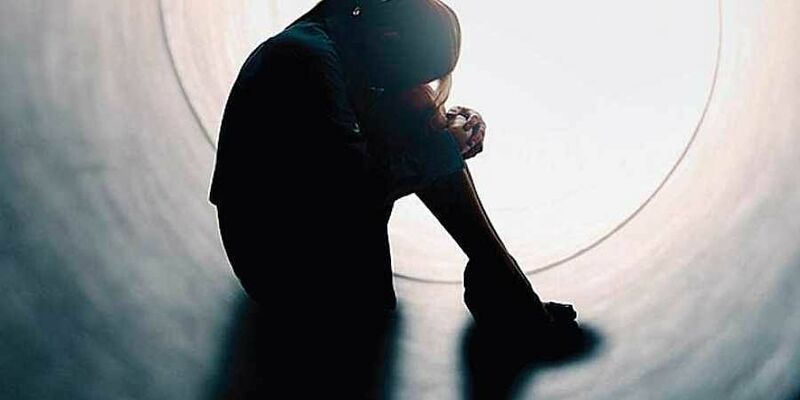 A 39-year-old woman, a mother of three children, had non-melancholic depression caused by problems with her unfaithful husband. She also had chronic fatigue syndrome in the form of flu-like symptoms to begin with and also had muscle and joint pains. Her depression was caused by her suppressed anger producing Liver Qi stagnation, and this diagnosis was supported by the presence of a wiry pulse in all positions. Acupuncture needles were inserted on specific points to release the stagnant Liver qi. Acupuncture treatment was given to her thrice a week for eight weeks. This resulted in total elimination of the patient’s depression. This study was done in Australia by Dr Sudhakaran. This treatment is now being made available in India.